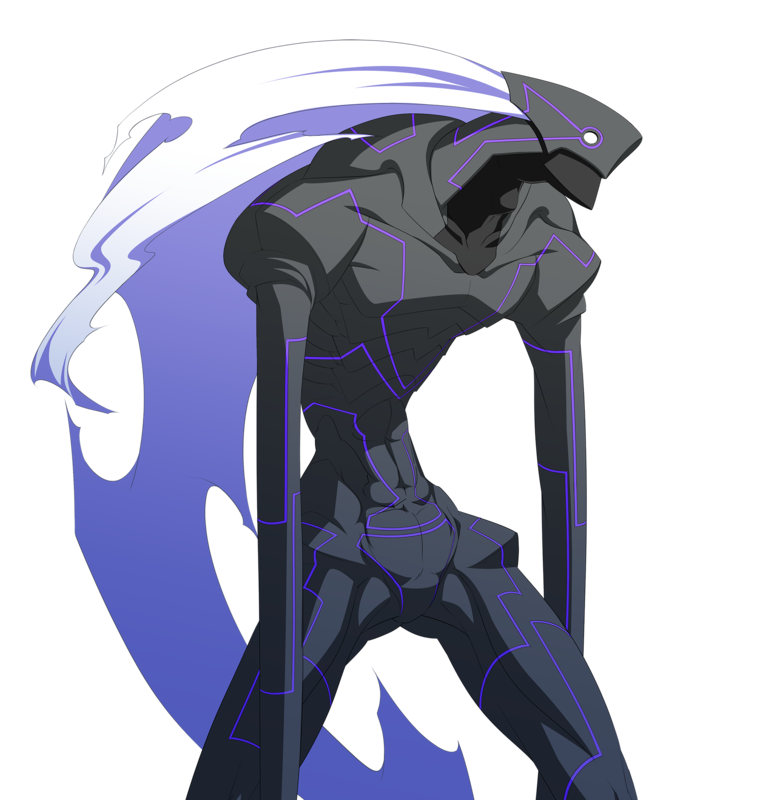 Merkava was once a human who pursued the status of a Re-Birth, but he was consumed by the Power of Existence and turned into a Void. 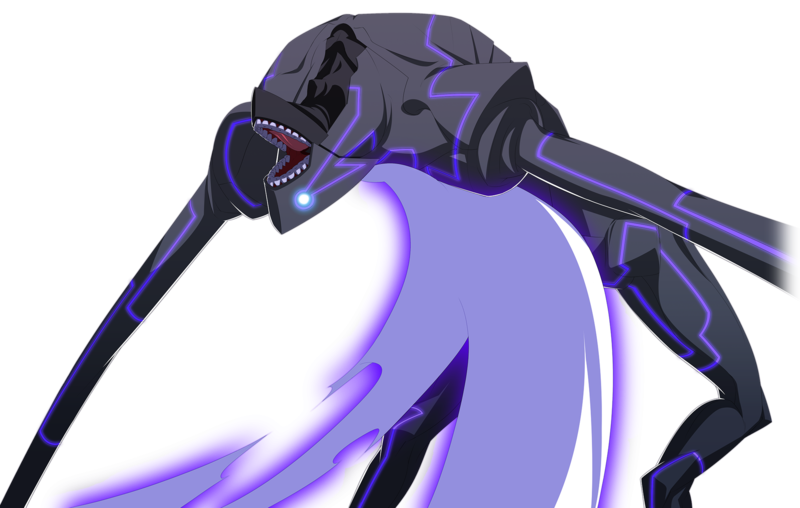 For some reason he managed to retain his consciousness and ability to speak, though he lost his memories at the same time. Ever since his new body has craved for more and more Existence to devour. 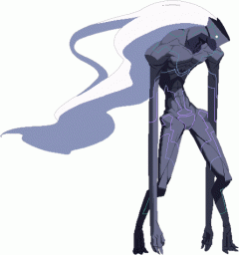 In his Arcade path, Merkava is drawn to Hilda due to her immense amount of EXS. 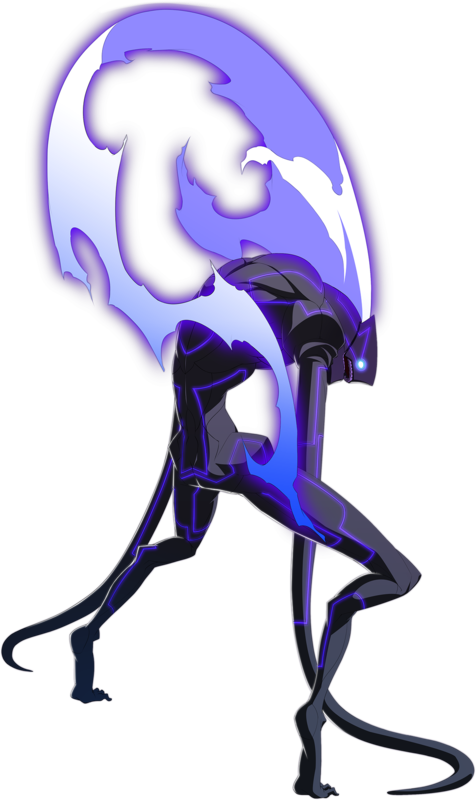 Along the way, he encounters several characters who are astonished at his ability to speak due to Void normally being mindless monsters hell-bent on devouring EXS. Upon encountering Hilda, Merkava refers to her as a "Red Void" and fights her. 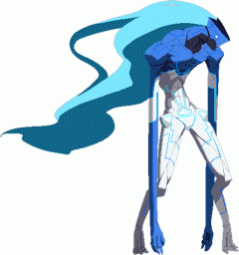 Before he devours her, she swears revenge on both Merkava and Kuon. 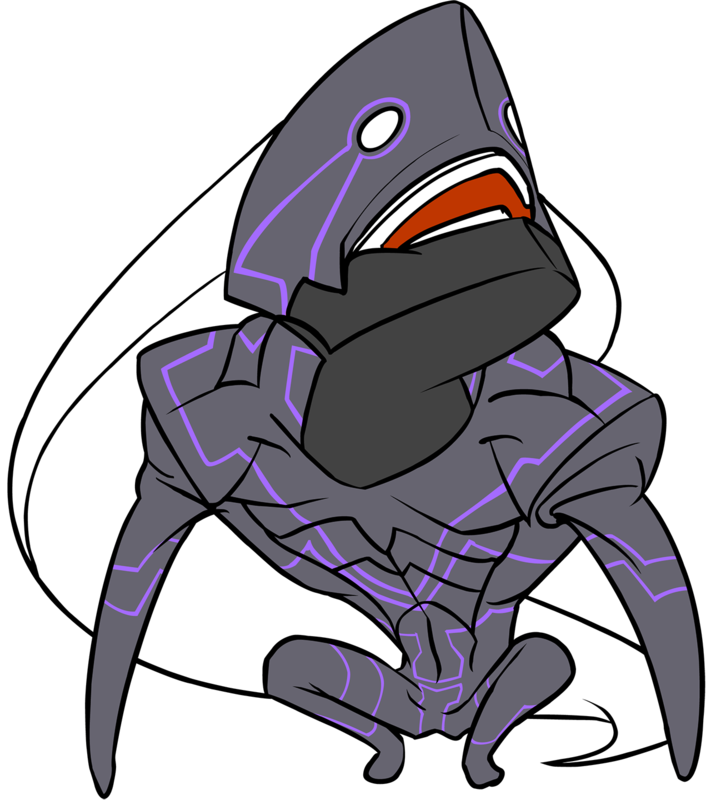 Some time later, Merkava realizes that, ever since consuming Hilda's EXS, his body is no longer satisfied with consuming the EXS of ordinary In-Birth and craves only the strongest EXS. 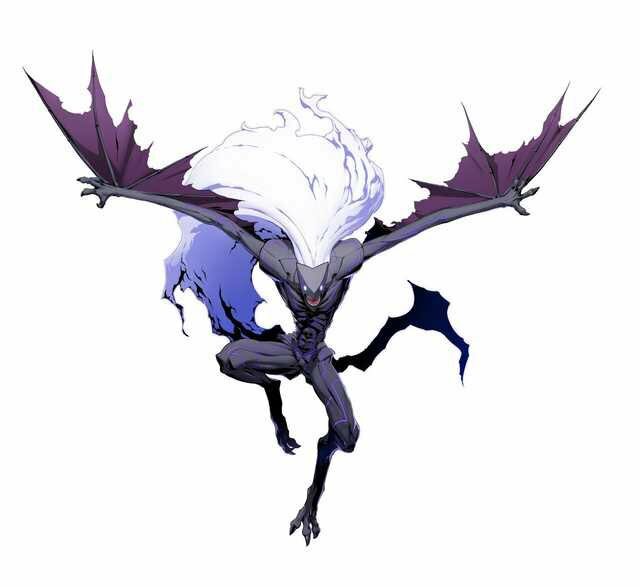 He flies off into the night, intent on devouring the Re-Birth themselves starting with Kuon. 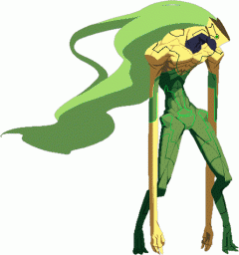 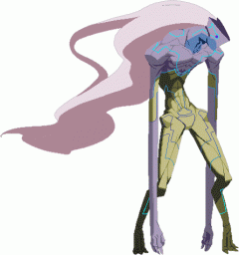 To recap, in the evolution of "stretchy limbs" characters... there was Dhalsim, Necro, Twelve... and now, Merkava. If you're a fan of using any of the Street Fighter characters previously mentioned, you'll love Merkava. 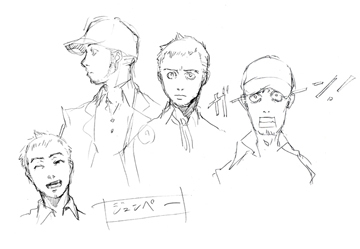 He's basically Twelve on crack. His fighting style shares some strikingly similar aspects of Twelve's, but he's no cheap rip-off. 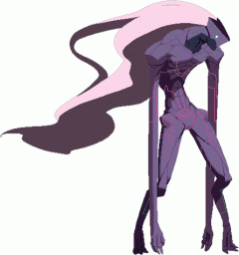 He's got plenty of original attacks; plus, the way he does his moves and his insane reach makes Merkava very different and original.